The story is actually pretty good— an enjoyable enough mystery. The problem is that the characterization is completely off. I felt more like I was reading one of Mary Higgins Clark’s Alvirah Meehan books. Jessica Fletcher has forgotten she was a teacher, is very abrasive and sometimes crass. She has forgotten how she relates to the world (her neighbors and town seem so changed as to not be recognizable) and she is much more of a ‘writer’ in this book. She even talks about her creative output increasing in the years following her husbands death when in fact JB never wrote when he was alive and only wrote one book following his death as a creative hobby. Grady gave her secret project book to the publisher launching her career— this JB Fletcher refers to her nephew as a ne’er do well and seems to casually refer to Cabot Cove as the Murder capital of the world! 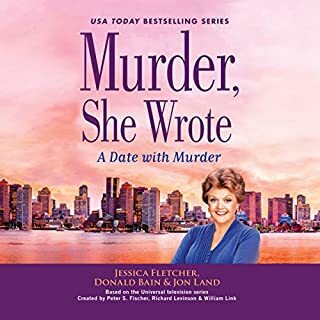 I think anyone looking for Jessica Fletcher should skip this book— hopefully the new author reads some of Donald Bain’s books before finishing the next outing or the series is doomed. Among the worst audio books I’ve ever heard. 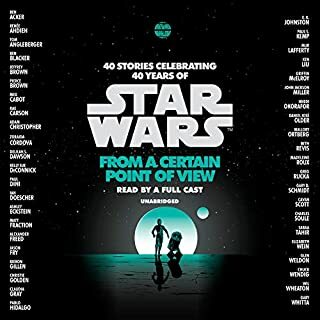 I’m still struggling to get through to the end, so if there’s a redeeming story in the bunch I’ll update my review— so far it’s one awful story on Tatooine after another.